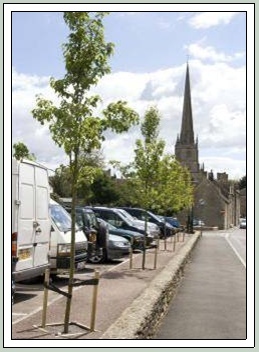 In 2006 to commemorate the 80th birthday of Her Majesty The Queen, it was decided to plant 6 trees along Old Brewery Lane to soften the look of the car park. Pyrus Chanticleer were chosen as being the best trees available for the size, interest, colour and suitability to the location. 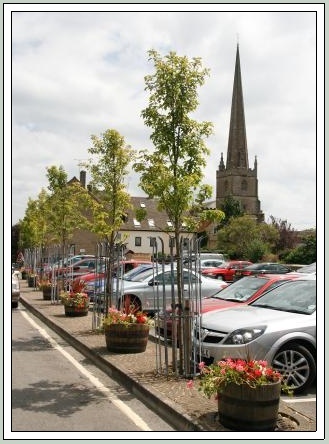 A special commemorative planting ceremony was organised to coincide with the Heart of England in Bloom judging. 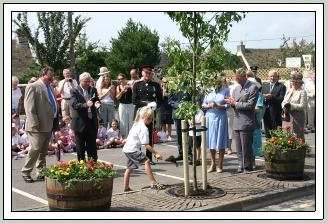 Two senior Tetbury citizens who were 80 on or as near the same day as the Queen, two children from St Mary’s Primary School who were eight and two very important members of our community, TRH The Prince of Wales and The Duchess of Cornwall were invited to come and plant the trees. 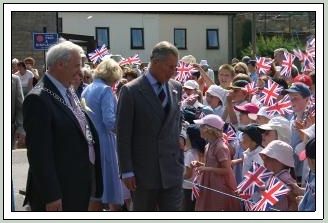 All the children from St Mary’s Primary School, local dignitaries and many residents and visitors came to witness the occasion. 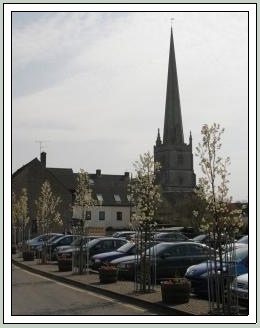 It was a fantastic event and the trees have flourished ever since. 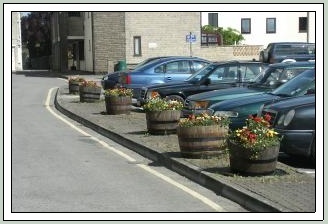 In 2011 we invested in easy watering tubs to replace the old oak barrels. 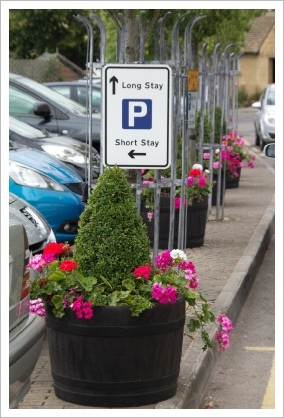 These make it so much easier to care for the plants in the summer months - just fill the 20 litre reservoir with water and diluted feed once a week and the results speak for themselves . 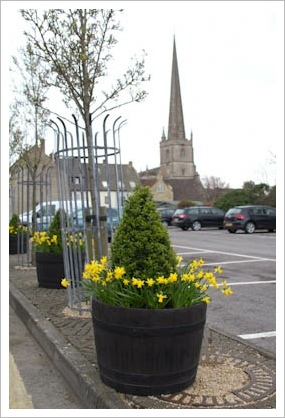 Together with all the other tubs in town, they have been planted with a central cone shaped box tree which are planted with geraniums in the summer months and Tete a Tete bulbs for a wonderful spring display.